Known better for its portable X-mini speakers, XMI showed off its Evolve 2 wireless headphones at IFA 2017. But this is not just another pair of wireless headphones - Evolve 2 is a set of wireless Bluetooth hybrid speaker headphones. It is specially designed to also work as a pair of speakers when you put them ear cups-down on the table, or around your neck. Each ear cup has an internal 40mm driver for headphone duties, and an external 40mm driver to work as speakers. During a brief hands-on, I was impressed with both the comfort level and performance of the Evolve 2. The ear cups covered my ear comfortably and filtered out background noise quite effectively when music is playing. For those who love to listen to "bassy" music, Evolve 2 packs plenty of oomph when delivering it. The battery life of Evolve 2 is rated at 6hr for the speakers and 30hr for the headphones. Founded by Singaporean Daniel Chin, Sanho is a US-based tech company famed for its Mac accessories. The new HyperJuice 80W USB-C Charger was created to meet its founder's own needs as well as users of Touch Bar MacBook Pros that have only USB-C ports. It comes with a single USB-C Power Delivery 2.0 port to charge the MacBook Pro, and four USB-A ports with Qualcomm Quick Charge 3.0 technology to charge other mobile devices. Thus, this is the only power unit you need to take with you when you are travelling. You don't have to carry a laptop power adapter, or multiple USB chargers for your smartphone and tablet. It is slim at only 2cm thick and weighs just 238g. Thus, it can easily fit into your backpack. The only downer is you need to take a power cable with you, as it is not an all-in-one like the Apple USB-C power plug. 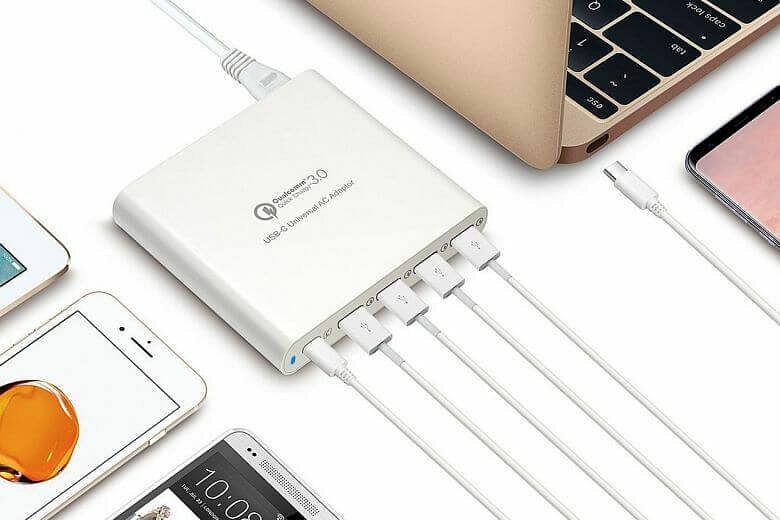 But you can use this charger with any laptop that is using the USB-C power port. 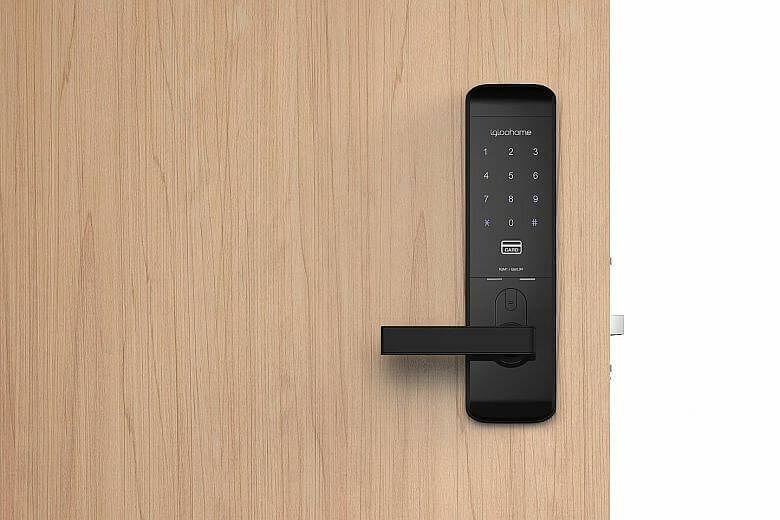 If you have a habit of losing your house keys, the upcoming Igloohome Smart Mortise lock offers a solution. Exhibited by local smart locks maker Igloohome, it gives you multiple ways of unlocking the home door. You can use a PIN code, a Bluetooth key, an RFID key/sticker and a regular key. The highlight is that it does not require an Internet connection, thus it cannot be hacked via Wi-Fi. Instead, Igloohome uses encryption and synchronisation technology such as security tokens, which are used in e-banking, to unlock the Mortise. The Mortise is also app-enabled, and you can set the PIN codes' validity period to allow, say, cleaners to enter your house when you are away. You can also send Bluetooth keys to friends who need to get something from your house. The app allows you to track the dates and times when your door is unlocked, so you can have peace of mind when travelling. Launched at IFA 2017, the UB+ Eupho E360 Speaker looks like something that is designed and created in a Scandinavian country. 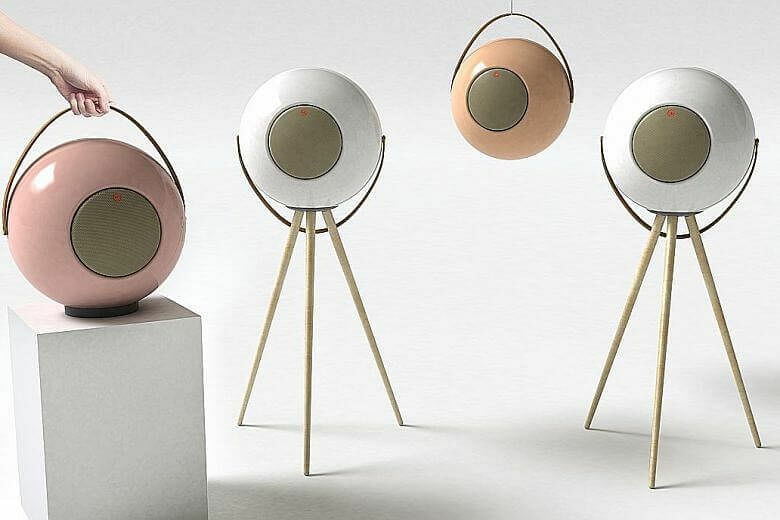 However, this sleek spherical Bluetooth wireless speaker was conceived in Singapore by local start-up TGI Technology. Bundled with a tripod stand, the speaker is designed to be a piece of furniture that you can use to adorn your living room or bedroom. The Eupho E360 has a smooth finish with controls on the top and speaker mesh in front. It has a leather handle that you can use to move it around the house. It is lightweight at only 1.5kg. Inside is a 6.5-inch full-range driver with an output of 25W. You can stream your music from your smartphone to the E360 Speaker via Bluetooth. Or pair two of the E360 speakers to create a stereo system. During a brief hands-on session where two E360 speakers were played in stereo mode, the audio output was quite impressive, given that it is small package.